Are you addicted to everything social media and want to stay connected to Arcadia Run? Perfect! We’ve got just the fix for you. Here at Arcadia Run, we want to keep our residents, as well as our future renters, informed on all of the neat things going on in our community. Feel free to friend us, follow us, tweet at us, or even re-pin us through any of these social sites! Facebook: Of course, Facebook is a must! With so many people on the site, this is how we can share photos, events, and other information directly with our residents and followers. Flickr: Flickr is a great way to view pictures of our new apartment buildings and rooms. You can also take a look at past events we’ve attended, like the Manassas Mall fashion show and the taste of Prince William Block Party! GooglePlus: Want to follow us on Google+? No problem! Join our circle to stay up-to-date with the latest Arcadia Run news and blog posts. You can also use Google+ as means to connect with your new neighbors. Pinterest: Want ideas on how to decorate your new bedroom? Click through our pins to find a little inspiration. Hosting a dinner party? We’ve got the tastiest recipe pinned for that. Actually, we have almost everything you could imagine pinned to our boards – health, fashion, community… the list goes on! Tumblr: Bloggers will love our Arcadia Run tumblr. If you want everything combined into one feed, you must check out our tumblr! You’ll be able to see our latest blogs, photos, and videos – all from one site. Twitter: Want tidbits of information phrased in 180 characters or less? Then you will love following Arcadia Run on Twitter! We give you the most important details regarding regional information, events, openings, or local happenings in one sentence. Feel free to favorite, tweet, or retweet and share with your own followers! YouTube: YouTube is ideal for showing more of an apartment or event that a picture simply cannot express. We don’t have any videos posted yet, but stayed tuned! Renting – The New American Dream? Years ago, the American Dream included owning a house in the suburbs, among other old-school ideals. However through unstable markets and changing mindsets, the dream has transformed into something new. The new American Dream includes renting, urban living, and revolves around consumer convenience. Even though many people can afford to buy a house, they are opting to rent their homes instead. Residents can avoid costs for maintenance, homeowner’s taxes, and other housing burdens by renting. Many apartment complexes, Arcadia Run included, take care of maintenance costs for you, making your living experience that much better. This allows tenants to spend their extra money elsewhere. They can save up for a new car or put more money away for savings. Rent is also typically cheaper than mortgage payments, allowing residents to save even more money. 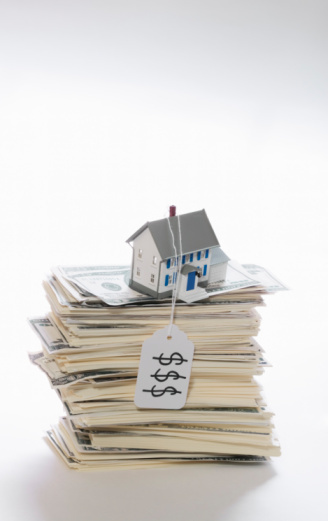 Many homeowners will put any extra cash they have straight back into their home. But with how the housing market has been in the past, if they lose the house, they’ll also lose all the money and hard work they invested into it. With renting comes the security and reassurance that you won’t be losing your house or be drowning in mortgage payments. More and more people are seeing this lifestyle as more desirable (who wouldn’t?) than going through the process of owning a home. Not to mention, more people want to live in environments where they are close to everything they need. When buried in the suburbs, homeowners have to drive to virtually everywhere they go. Renting in Arcadia Run allows tenants to walk to many places like the gym and other apartment amenities. It’s also close to downtown historic Manassas, a huge venue for fun and activities. Renting allows residents to live the American Dream to the fullest, without worrying about mortgages, interest rates, or even foreclosures. And, it helps them to pocket the extra money they save, allowing them to splurge on themselves and their families more often. The American Dream isn’t gone; it has only changed to become more relevant and universally accepted today. Arcadia Run apartments make it easy to choose this lifestyle over any other. Our residents are active, living life to the fullest, and achieving the American Dream every day. More news was published from the housing market that shows yet another reason why it’s better to rent. In the second quarter of this year, home affordability plunged to shockingly low rates. In the first quarter of 2013, 73.7 percent of homes sold were considered affordable with the national median income of $64,400. In the second quarter, that rate dropped to just 69.3 percent. This is the first time since 2008 that home affordability has fallen below 70. While the percentage difference doesn’t seem too significant, it represents thousands of people who can no longer afford homes. According to CNN Money, the fall in affordability is most likely due to “stagnant incomes, higher home prices, and climbing mortgage rates”. Even though increasing home prices mean the economy is improving, for the average person, buying a home just isn’t a smart or financially responsible move. So, what’s the better option? Renting, of course! Arcadia Run offers a better living alternative for families and young professionals alike. Renting means that tenants can avoid the rising home prices and mortgage rates that are currently plaguing the housing market. Compared to mortgage payments, renting is much more affordable. Additionally, renters don’t need to deal with the time and hassle that’s put into maintaining a house – Arcadia Run takes care of that for you! Our buildings are brand new and have the best features you’ll find in any apartment. Each unit has granite countertops, 9-foot ceilings, and extended windows. Residents are comfortably close to downtown historic Manassas, something that would not be feasible if they were to buy a house. There are also wonderful amenities available to all renters that include a pool (coming 2014), ball courts, a fitness center, a playground, and a jogging trail. The renting industry is seeing a great boost this year from more and more people choosing to rent over buying a house. This has an amazing impact on the industry as a whole, bringing in more renters and revenue, and ultimately making apartment living more enjoyable. Instead of taking the many financial risks that come with buying a house, make a smarter investment and choose Arcadia Run. Earlier this year, the National Multi Housing Council and the National Apartment Association published an infographic brochure that outlined the incredible impact apartments have on the economy. The numbers were shocking to many, but here at Arcadia Run, we weren’t too surprised. Apartment buildings aren’t always considered to be revenue-generating buildings, but this is just a common misconception. In fact, apartment buildings have a hugely positive impact on the health of the economy. Apartment living has become more popular in recent years, which means more buildings are being constructed to keep up with the demands. Building just one apartment complex is a huge production. Contractors, builders, designers, and suppliers all need to be hired in order to bring a plan to life. In the past five years, the apartment industry created an average of 260,000 jobs per year and supported 662,000 jobs. Not many industries can support or create nearly this many jobs. The construction of apartment buildings aids the economy in monetary terms as well. The apartment industry is a $2 trillion industry. Buying and planning an apartment is costly, and much of the money spent encourages economic recovery even further. After the initial building of the apartments, there will be upkeep and maintenance costs. This supports jobs and brings in revenue and taxes as well. An increase in rental properties has transformed communities and neighborhoods. They add diversity within the residents that might not be possible when buying homes. Rental properties also add incredible value to an area and give the local economy a deserving boost. Building just 100 new apartments in your neighborhood will create 32 local jobs, $2.3 million in local revenue annually, and $400,000 in taxes and other spending. Renters are also more inclined to spend their money locally, within walking distance of their apartment, which can support local shops and stores. So, what does this mean for you, the apartment tenant? Well it means that just by renting your apartment in Arcadia Run you will help to improve the economy. In times like today, economic recovery is always a welcomed effort. You can enjoy the diversity of your apartment community and adopt a new appreciation for apartment living. The S&P/Case-Shiller national home index rose 12.2% in May compared to a year ago. This is the biggest annual increase in prices that we’ve seen since March 2006, right before the peak of the housing bubble. While this might be good news for current homeowners, it doesn’t help those who are looking for a new home. When national home prices and mortgage rates rise, it pushes home affordability beyond the reach of many. Prices have been steadily increasing every month since June 2012, and with plenty of room for growth, they’re expected to keep rising. Some economists believe that this is the sign of a strengthening economy. Others think that this might actually pose a threat to the housing market. They fear that rising prices might lead us to another housing bubble, ending all of our progress. Either way, renters will be able to benefit from an improving economy without feeling the sting of rising prices and rates. And, if there is another housing bubble in our outlook, renters will be saved from the woes of owning a home. This alone is a great reason why it makes sense to rent instead of buy in today’s market. Renters can pay their monthly rent at a predictable rate, and continue to save money for their future. Those who choose to rent are also spared from the awful realities of foreclosures and high taxes on homeowners. With the market making changes everyday, it pays to have the added security by renting. One factor that is contributing to the rise in home prices is the limited inventory of homes on the market. This drives prices up and makes finding a new home very competitive. Limited inventory is not a problem for renters right now. There is such a huge supply of apartments and rental properties that tenants have the luxury of choosing the perfect place. This also lets renters lease in an area where owning a home might be impractical, like a city. Arcadia Run is the best choice for renters near the Washington D.C. area. Located in the beautifully historic town of Manassas, our apartments are all completely new with nine-foot ceilings, granite countertops, and balconies – and reasonably priced too. Find your next apartment in Arcadia Run! Arcadia Run apartment homes are some of the nicest in the area. Each apartment features a spacious finished kitchen with granite countertops and brand new cabinets, extended windows, and incredible nine-foot ceilings. Select apartments even have walk-in closets. Having access to nice amenities is a wonderful perk to living in an apartment community. Arcadia Run will soon have a fitness center, a playground, ball courts, a jogging trail, and a resort-style swimming pool – all for the convenience of their residents. The Washington Metro area is one of the best places to live. You get all of the great aspects D.C. has to offer, without actually living in D.C. In Manassas, not only is there easy access to the Capital, but there are also plenty of things to do in town. Arcadia Run residents have multiple dining, recreation, shopping, and entertainment options right in their own back yard. Maintaining an entire house can be costly. Homes are only getting bigger and repairs can be a huge unexpected expense. When renting, all repair bills and maintenance costs are the responsibility of the landlord, allowing you to spend your extra money elsewhere. Arcadia Run apartments are roomy and spacious, but they’ll still have considerably lower utility costs compared to a two-story house. This is another excessive expense that residents can avoid by renting. Renting an apartment gives you flexibility that you won’t find when buying a house. Whether you decide to expand your family or are looking to downsize, renting allows you to change your living accommodations accordingly. Arcadia Run offers many different style apartments, certain to have something that’s perfect for everyone. Renting a luxury Arcadia Run apartment is the absolute best option for renters in the D.C. Metro area. With an array of different floor plans, everyone is bound to find something that fits. You won’t find these convenient and modern apartment homes matched by anyone else. For more information on the Arcadia Run apartment homes, visit www.arcadiarun.com. Bookcases are not only a classic place to store your novels but also a vehicle for creativity and expression of style! Make the most out of your bookcase by accentuating it with unique trinkets and sentimental artifacts. We’ve pulled together some inspirational looks to help you get started on arranging your bookcase! When it comes to arranging books, classic isn’t always better. Try stacking your books horizontally rather than vertically for something different! This also gives you the option of adding a decorative accent like a candle on top the books for more visual appeal. Use your bookcase to store craft supplies but do it in an organized, disguised fashion like Kelli of Lolly Jane! Kellie cleverly stored away her crafting tools in mason jars, crates, and trunks. Check out her guide on how to build your own crafting bookcase here! Keep your bookcase functional and organized with storage bins and magazine holders! Just make sure you stick to a set color palette when choosing your organizers so they don’t become distracting. Mix in some decorative pieces to keep it from looking lackluster. Create a shabby chic look with your bookcase by arranging vintage accents among the books. Visit your local thrift store or antique shop to find some charming one-of-a-kind pieces. Up the vintage vibe with some antique books! If you’re going for a romantic feminine look in your apartment, trying painting the back of your bookcase a fun color like bright pink! Then decorate with neutral colored books, vases and frames to let the color stand out.